Understanding of the impact of light on human behaviour has advanced rapidly at the same time as lighting technology has undergone a major evolution with the advent of solid state lighting. It is now possible to use the principles of bio-adaptive lighting easily and cost-effectively in the workplace, at home and especially in sensitive environments such as schools and healthcare. Results from recent case studies and research are very impressive and point the way towards harnessing the beneficial effects of lighting in new ways into many aspects of our lives. It’s not just about feeling better either; the right type and level of lighting can dramatically improve our performance of tasks and increase productivity and the lighting technology that is now being seen in the marketplace provides the means for everyone to realise the benefits of bio-adaptive lighting. 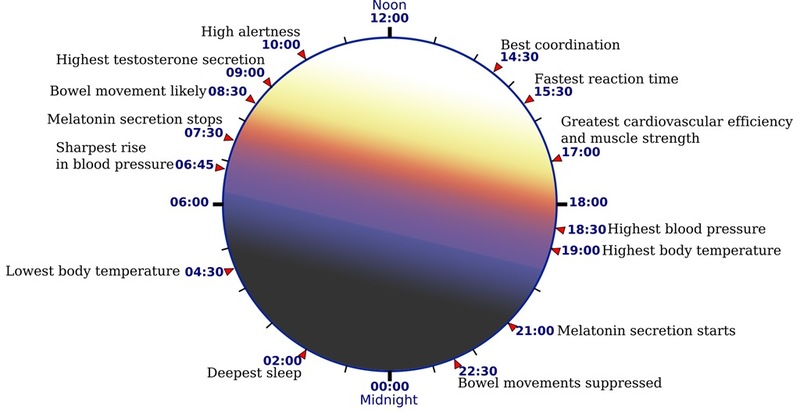 We are all governed to some degree by the circadian cycle (which is a little over 24 hours long) and light information from the environment resets the circadian clock every day to keep us in step. Light is the most powerful synchronizer of the human circadian clock, and the timing of light exposure during the course of a day is responsible for how circadian rhythms are synchronized with the environment. For example: Late-evening light exposure delays circadian rhythms, resulting in later sleep and wake times, and early-morning light exposure advances these circadian rhythms, resulting in earlier sleep and wake times. It’s not just about lighting cycles though, as colour plays an important part too. One study from the Light Research Program at Thomas Jefferson University in Philadelphia found that blue light strengthens and stimulates connections between areas of your brain that process emotion and language. This means that blue light may, in turn, help people to better handle emotional challenges and regulate mood over time1. Blue light is prevalent in sunlight, so your body absorbs the most during the summer and much less in the winter. Because of this, the researchers suggested that adding blue light to indoor atmospheres, as opposed to the standard yellow lights typically used, may help boost mood and productivity year-round, and especially during the winter. This doesn’t necessarily mean that we should all now have lots of different coloured lighting since blue is often in white light and having the ability to vary the colour of white light, or the colour temperature as it is known, is a critical factor in effective bio-adaptive lighting. Introducing colour changes and even tints at certain times of the day is a highly effective way to deliver good bio-adaptive lighting. The physiological effects of using bio-adaptive lighting also stretch beyond managing our circadian rhythms more effectively when we spend so much time in artificial light. In 2010 studies also indicated positive effects of lighting of different colour temperatures on various physical, psychological and performance outcomes of children, such as dental health, physical growth and development, attendance, alertness and academic achievement2. Another less physiological benefit of bio-adaptive lighting is handing control over the lighting to the individual affected by it. It sounds simple but there are very few office or workplace lighting installations that allow the Bio-adaptive Lighting workers to change the lighting. A study by the University of Exeter found that welfare and productivity are most likely to be optimized by practices that empower the workforce and that their experiments showed that empowerment was the key differentiating factor in increasing productivity by up to 32%3. Today the solutions now exist with the capability to provide this over the hugely important aspect of lighting. Something else to keep in mind: As people age, it becomes harder for them to adapt to changes in the amount of light to which they’re exposed. “Older people’s sleep and wake cycles are harder to maintain if they are not exposed to daylight early in the day and sleep in a dark room at night,” McGowan says. “Even the colour of the light is important. The wavelength of visible light determines its colour and recent research has identified the impact from certain wavelengths. For example a study by the School of Psychology in Adelaide showed that the shorter wavelengths of 470, 497, and 525 nm showed the greatest melatonin suppression from 65% to 81%. It is important to manage certain wavelengths of the visible light spectrum at the right times in order to deliver effective bio-adaptive lighting. The role of the colour of light is key to effective bio-adaptive lighting. In a study into lighting and clinical depression, people who were exposed to bright blue light for an hour each morning for just three weeks experienced more improvements in their depressive symptoms than the control group, which was exposed to red light. They also had increased levels of melatonin in the evening, which helps with sleep and regulating the internal body clock, and lower levels of the stress hormone cortisol. Further, the improvements felt by the light-therapy group were comparable to those experienced by using antidepressant drugs4. In another study exposure to blue LED was shown to affect sleep quality and median body temperature peak in Alzheimer’s disease patients. Median body temperature peak was delayed by approximately two hours after exposure to blue LEDs compared with exposure to red LEDs and sleep quality was improved. This pilot study demonstrated that light, especially LED lights can be an important contribution to helping such patients regulate their circadian functions5. A study in the Netherlands found that increasing illuminance levels in schools at certain times and changing the colour temperature of the lights indicated a positive influence pupils’ concentration6. The Philips Schoolvision case study in Hamburg showed remarkable results from applying controllable adaptive lighting in a school environment and empowering the teachers with the ability to affect the lighting conditions. Reading speed increased by almost 35%, concentration improved dramatically and the frequency of errors dropped by almost 45%. Hyperactivity and aggression were also examined. Although the perceived reduction in aggression was not found to be significant, video evidence showed a distinct change in levels of hyperactivity. Observed hyperactivity was reduced by up to 76% when pupils were given a mathematical problem to solve under the Calm lighting scene, a figure that the baseline measurement and control group did not even come close to. One of the more high profile examples is from NASA who is spending £7m to replace fluorescent lighting in the International Space Station with LEDs so that the colour, intensity and timing of lighting can be controlled to help astronauts sleep better and awake refreshed. The Visible Light Spectrum Over the past decade, neuro-scientific research has uncovered the existence of a previously unknown non-visual optic pathway modulated by the substance melanopsin (which has a unique sensitivity to distinct parts of the visible light spectrum). Unlike other projections of the visual system, these pathways seem to play a minimal role in perception and processing of vision and image-formation; instead they have been found to be fundamentally responsible for entrainment and maintenance of circadian rhythms and other physiological functions. They also had increased levels of melatonin in the evening, which helps with sleep and regulating the internal body clock, and lower levels of the stress hormone cortisol. Further, the improvements felt by the light-therapy group were comparable to those experienced by using antidepressant drugs4. At work Perhaps the most important consideration for lighting in the workplace is the use of natural daylight, however many work environments rely on artificial light either wholly or partially. Here, the lighting should ideally be capable of delivering varying levels of illuminance and also colour, especially ranges of cool to warm whites and be subject to control systems capable of delivering bio-adaptive effects. In particular workers should be empowered with control over their own individual lighting as far as possible and where practical. The good news is that lights are becoming available for these purposes in standard office configurations and control systems such as amBX are capable of delivering bio-adaptive lighting effects as well as multi-faceted controls. Lighting can energise working environments through increased illuminance and changes in colour temperature and when delivered at the right time of day can have a powerful impact on worker wellbeing and productivity. In addition to simple settings for comfort, reading etc. lighting can be used in many ways to deliver the benefits of bio-adaptive lighting in the home. With appropriate lighting fixtures and controls lighting that supports circadian rhythms can be used widely and products such as Philips Hue and Photonstar Halcyon are good examples of controllable colour-changing lighting that is available today. Where there is a greater need for lighting to support medical conditions there are emerging solutions which offer sophisticated control capability which can support recommended treatment with light in the home. Apart from the implications for the use of lighting to assist in treatments of certain conditions there are a number of real world examples where controllable and adaptive lighting has delivered significant benefits. Sun-Light Solutions dealer ‘Little Islands’ is a driving force in providing support for dementia care. Their senior staff are highly experienced in both the design of dementia care environments and the provision of specialist equipment, including a Hi-Tech sensory room called the ‘LifeHouse’. 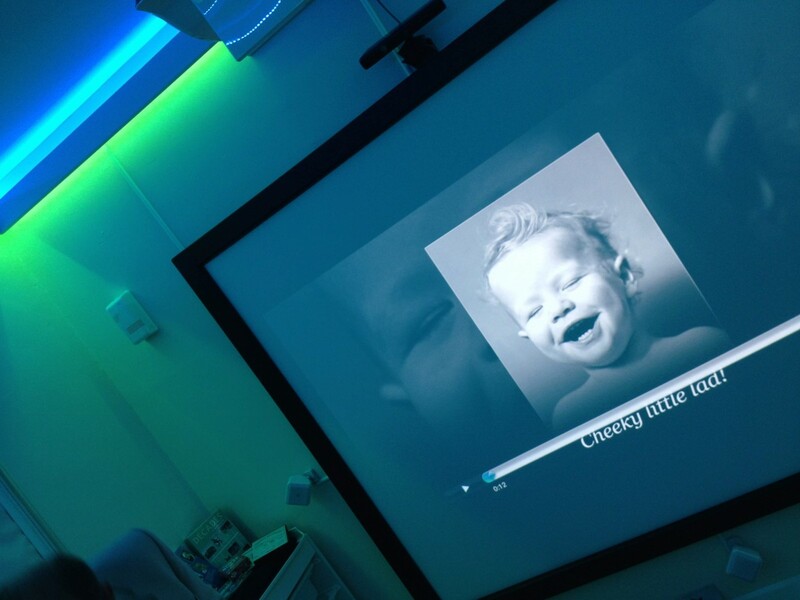 LifeHouse is a self contained sensory room installed into care homes in the UK offering technology, including mood enhancing lighting, to aid calmness and inclusion but also offer LifeStory, a multimedia ‘life story’ of the dementia sufferers which allows them to reach back in time of happiness. A pilot at the NHS Rotherham hospital in UK showed that these kinds of benefits can be achieved for the same cost as lighting in a standard ward and with accompanying savings in energy and maintenance costs. One study6 examined the effect of different illumination levels on pharmacists’ prescription-dispensing error rate and found that error rates were reduced when work-surface light levels were relatively high. This is consistent with findings from other settings that show that task performance improves with increased light levels. Task-related lighting settings and controls also clearly have a role to play in adapting lighting to improve outcomes. There is no doubt that employing bio-adaptive lighting in healthcare has a beneficial effect for patients as well as staff. Improving light levels and empowering staff with control is a key factor in realising the benefits as well as introducing lighting that can support circadian rhythms.  Energy setting. This setting is intended to be used to activate the pupils at the start of the day or after lunch. A cold “blue-rich” white light.  Focus setting. This setting aids concentration during challenging tasks, such as exams and tests. A bright white light was used.  Calm setting. This setting brings a relaxing ambience to support independent and collaborative learning. This delivered a white light with a warm, red colour tone. Certain specialist in the UK have embraced the principle and taken it further with sensory environments designed for special needs education (SEN) which create a safe controllable space for calming and stimulating experiences. Learning opportunities are delivered in a totally immersive way involving lighting for people of different needs and abilities. These examples have shown that attention span, concentration and behaviour is significantly improved through the use of dedicated light settings. When designed for, and integrated into the school’s activity bio-adaptive lighting supports student activity in a very positive way. Applying the principles of bio-adaptive lighting to the retail environment can bring a number of benefits for staff and shoppers alike. Lighting can be adapted to the time of day, season of the year and even the ambient daylight conditions without detraction from retail display. With LED lighting and new standards of control available today retailers can add the ability to change, adapt and improve their environments at the same time as they look to take advantage of the energy and running cost benefits of LED lighting. Venues and hospitality facilities have much to gain from adopting bio-adaptive lighting. Apart from the ability to create the perfect ambience and have flexibility in the lighting system, consideration now has to be given to the power of lighting to influence emotion and visitors response to events. 8 Northumberland in London already promotes its ability to energise conference audiences and add impact to presentations with dynamic lighting effects. They even offer daylight underground as a way of keeping participants engaged throughout the day where there is no real daylight. The colours and movement of daylight are reproduced within the space in subtle ways which go unnoticed but support circadian rhythms. Lighting is also used for combatting the effects of jetlag with introduction into hotels and even early attempts at managing the lighting in flight. The Hotel Rafayel in London offers jetlag recovery lighting in a number of rooms and 8 Northumberland have jetlag lighting scenes in their function rooms for use by delegates. The management of environments for maximum comfort and effect will include these aspects of lighting control in the hospitality sector as awareness increases and the cost and simplicity of implementation reduces. The benefits of bio-adaptive lighting are becoming well defined and clearer and are applicable in many fields of lighting. Importantly, the advent of digital lighting and its inherent ability to deliver far greater levels of fine-grained control renders this capability at affordable and economic cost levels into many lighting installations today and we can expect this to extend to mass market and commodity-type lighting in the not too distant future. Companies such as amBX need to be able to support the design and implementation of lighting which delivers the benefits that are clearly there for wellbeing, therapeutic and educational outcomes and productivity. The design and simplicity of lighting control will need to enable users to take real advantage of bio-adaptive lighting without technical and knowledge barriers getting in the way so that this powerful aspect of artificial lighting can become second nature when we think about lighting in our lives. The technology and a lot of deep understanding is available today so all that remains is for everyone involved in lighting and with a desire to improve living, working caring and learning environments to embrace bio-adaptive lighting and seek how to improve our world. If you would like to learn more, discuss any if the ideas and thoughts in this overview then please feel free to contact Sun-Light Solutions. 2. Hathaway WE. A study into the effects of types of light on children -a case of daylight robbery. Retrieved 1 December 2010, from http://www.nrc-cnrc.gc.ca/obj/irc/doc/pubs/ir/ir659/ hathaway.pdf. Rautkylä E, Puolakka M, Tetri E, Halonen L. Effects of correlated colour temperature and timing of light exposure on daytime alertnessin lecture environments. Journal of Light and Visual Environment 2010; 34: 59-68. 5. Spectral Sensitivity of the Circadian System. Mariana G Figuerio, John D Bullough & Mark S Rea, Lighting Research Center, Rensslaer Institute Troy NY.